Last year, Bernie Sanders and his supporters filed suit claiming that the Democratic National Committee did not give "impartial" and "even-handed" consideration of their candidate as is specifically stated in the DNC charter. Preliminary hearings for this case just took place. At a hearing, DNC attorneys claimed that the words 'impartial' and 'evenhanded'—as used in the DNC Charter—cannot be interpreted by a court of law. The judge then questioned the DNC lawyers about what the Democratic National Committee does and what it is responsible for—and the DNC lawyers had trouble answering these questions. “I’m 90 percent on that,” responded the DNC attorneys in response to a question as to whether the DNC funded State Primaries. The judge ended the hearing by stating to both parties he would issue an written order on the DNC’s motion to dismiss the lawsuit, though no specific timeframe was given as to when that decision may be handed down. 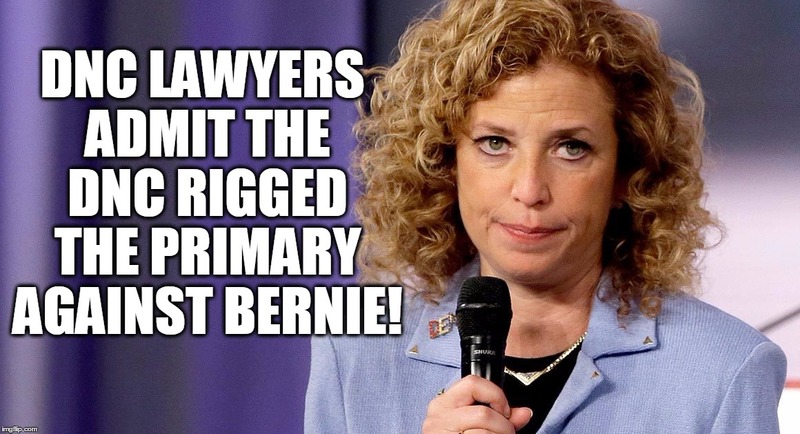 If the class action lawsuit moves forward, it would entail a discovery process that would open up the inner workings of the Democratic Primaries and force figures like Wasserman Schultz to testify in court on their actions and decisions during the Democratic Primaries.